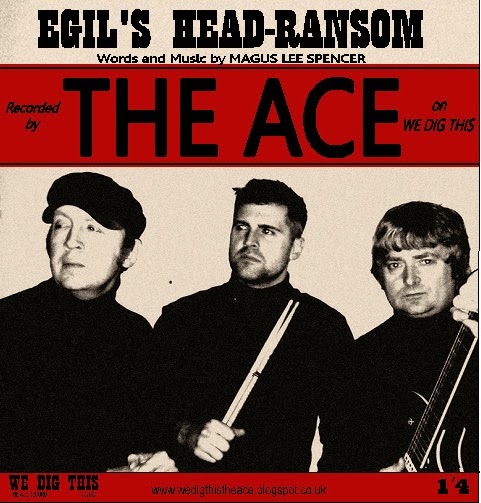 The Ace's New CD Single, Egil's Head-Ransom / I'm Leavin' You is available now to buy. It will cost £2 at a gig, or through paypal for £3 for UK. Email us for the details. Alas, for International sales, the cost will have to be £6, due to the cost of postage, which is a bit ridiculous for a CD single. We're hoping to have bandcamp site up soon, so the single will be available digitally for £2, which should help out our international friends.